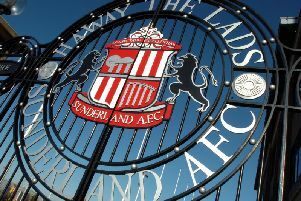 Sam Allardyce will see how the situation evolves between Sunderland’s three goalkeepers over the next fortnight, with one potentially heading to the exit door. The absence of Costel Pantilimon from the matchday 18 for Wednesday night’s win at Swansea has further fuelled speculation about the Romanian leaving the Stadium of Light before the end of the month. Pantilimon - who has made 49 appearances in his year-and-a-half at Sunderland - lost his place at former club Manchester City last month and has not played a minute since after Allardyce has turned to Vito Mannone and Jordan Pickford, recalled from a loan spell at Championship Preston. With Sunderland needing to offload players to free up funds on the wage bill, Pantilimon is a potential casualty, with the Romanian understood to be on a much higher salary than fellow stopper Mannone. Allardyce is open to the idea of all three stoppers remaining at the club beyond the end of the window, but has not ruled out the prospect of cashing-in on one of the trio. He told the Mail: “Yes it depends how the situation develops as the month goes on. “One may find it more difficult than the other if they are not playing and may say that they want a move. “Vito said that before he was in the team; that he needed to play first-team football. “But now Vito has got a chance, it could be Costel who says that. Mannone had a big let-off in the 4-2 win at the Liberty Stadium after dropping the ball from beneath his own crossbar into the path of Swansea right-back Angel Rangel, only for the ‘goal’ to be correctly ruled out for offside. But the Italian - who lost his starting spot to Pantilimon in November 2014 - did perform well in the crucial win over Aston Villa a fortnight ago. With Pickford enjoying a highly competent debut in the FA Cup third round at Arsenal last weekend too, Allardyce has plenty to ponder in his goalkeeping ranks. “Jordan has come back and threatens Vito and Costel,” added Allardyce. “I thought Vito was excellent against Aston Villa and Costel is bitterly disappointed to have been left out. “But Vito was telling me that he had been unfairly treated and nobody gave him a chance.